An extremely safe and durable 5 ton floor jack. Built-in safety overload prevents using the jack beyond its rated capacity. 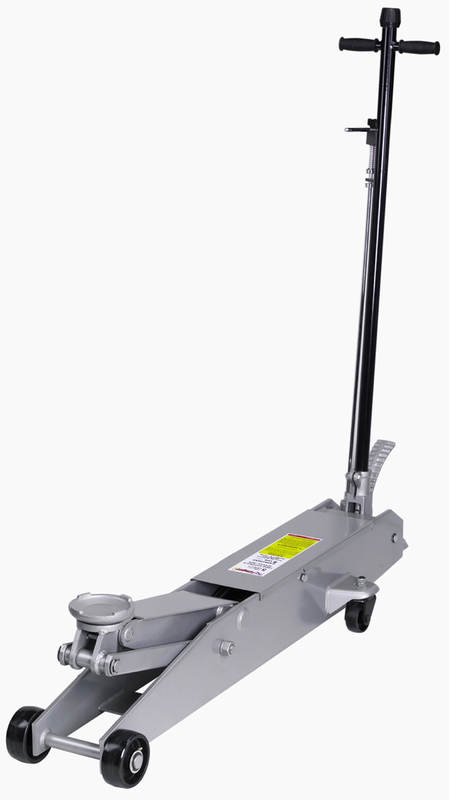 A convenient foot pedal speeds the lifting operation, handle lock and release control are located on top of the 40" spring-loaded handle. Handle can be locked into any position from vertical to horizontal. • Lifting range: 6" to 22", reach: 47". • Frame height: 7-3/4", floor space: 56" x 14-3/4".